Are you looking for somewhere to apply your university skills in marketing, PR or journalism. We’ve been experiencing significant growth and have opened opportunities for high performing graduates or final year marketing, PR or journalism students to complete a summer internship. You will be well presented, energetic and happy to work within a busy team. If you’re prepared to work hard, then Aleks and I will be looking forward to mentoring you and sharing our broad industry experience. Ultimately the successful intern will be available 1-2 days per week (days flexible) for at least six weeks, and following a brief trial, potential to stay for an agreed extended period. 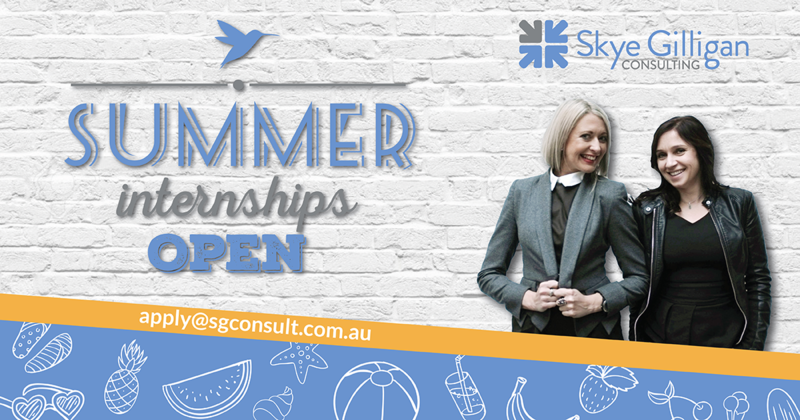 To apply, please send a CV and cover email outlining why you would like to join Skye Gilligan Consulting. 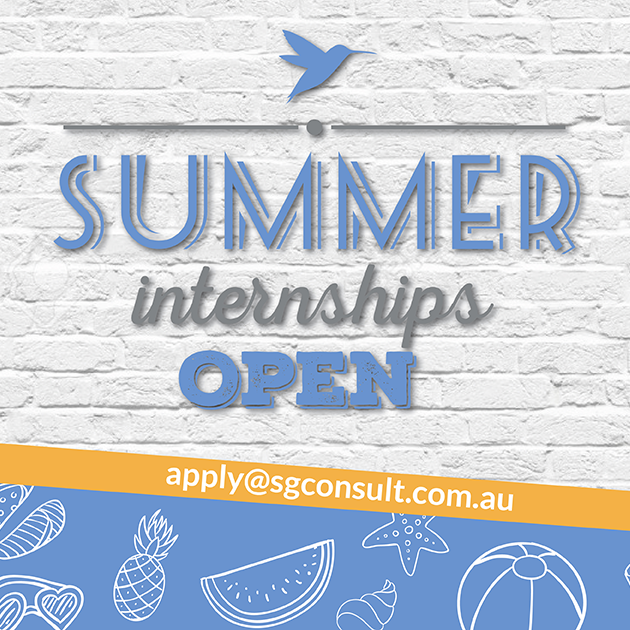 To learn more about the role, please email your CV to skye@sgconsult.com.au for a confidential discussion.